That's our Polo parked on the roadside. 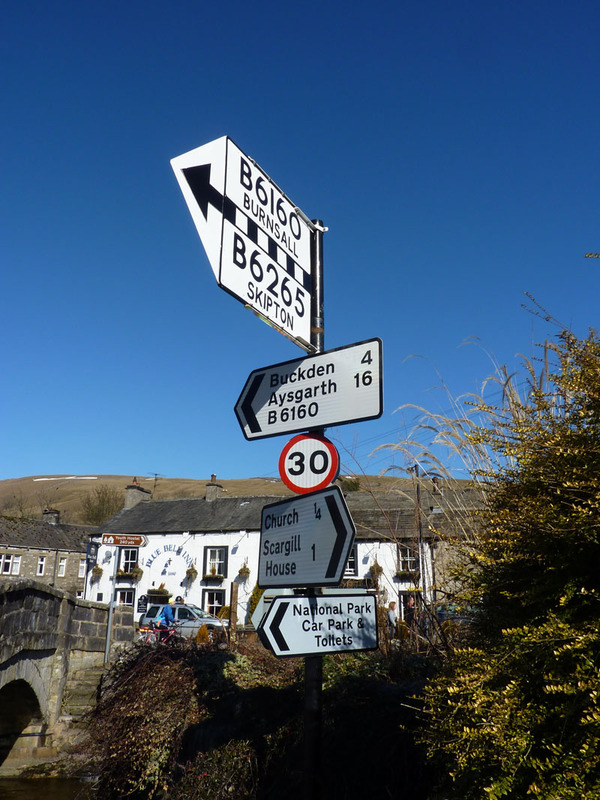 It's £3.50 to park in Kettlewell and absolutely nothing to park here, no brainer, you might say. 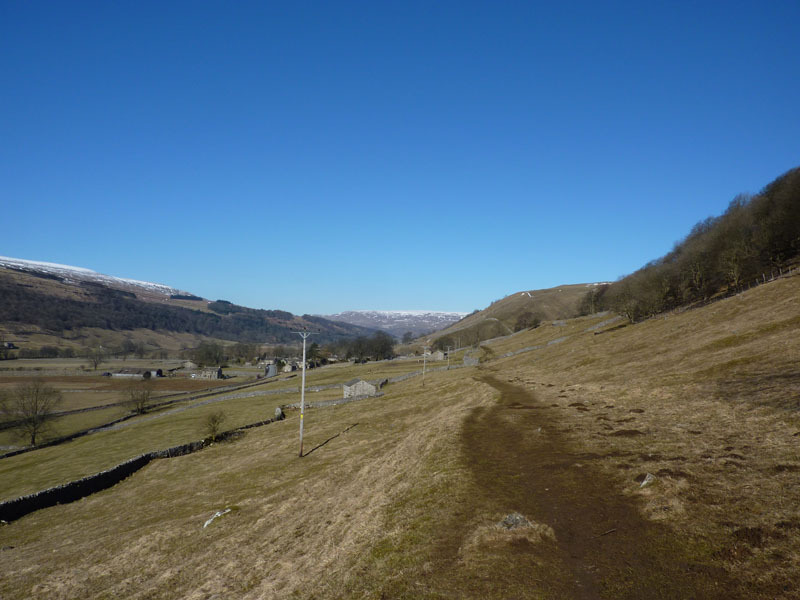 This photo is taken away from the strong sunshine and shows our path, high above the valley floor. The path was semi-frozen making it rather slippery in places. 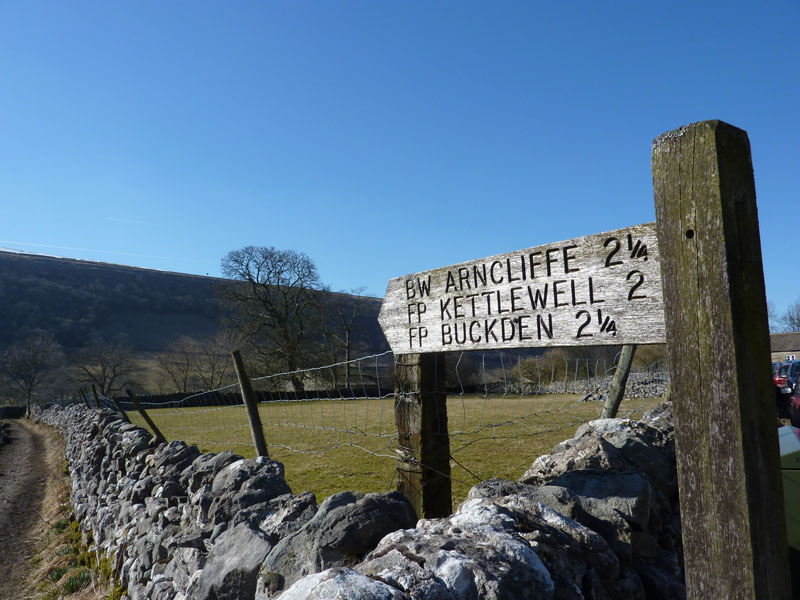 The sign said 2 miles to Kettlewell and there's three routes; this one, the Dales Way along the side of the river and the highest path, high up on the other side. 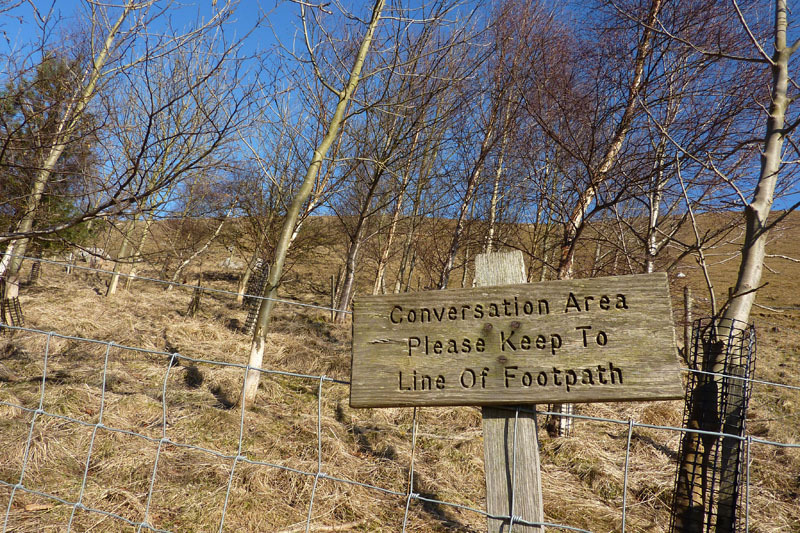 We stopped here for a chat. 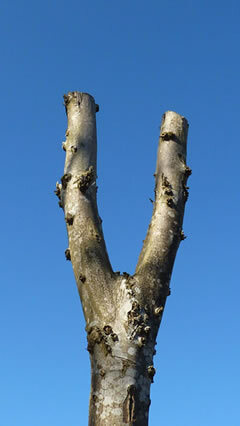 Cross Wood and areas around here have new trees planted and efforts are being made to regenerate the native woodland. 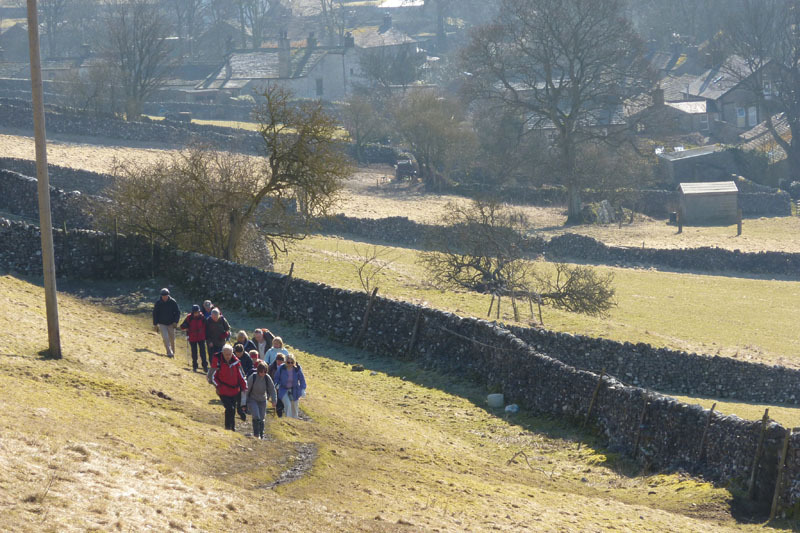 Just as we approach Kettlewell, a large walking group heads our way. We can see a full car park and hope there is space in the cafe so we can have a light bite and a brew. This little cafe is not the one in prime position opposite the car park. See RRR later. 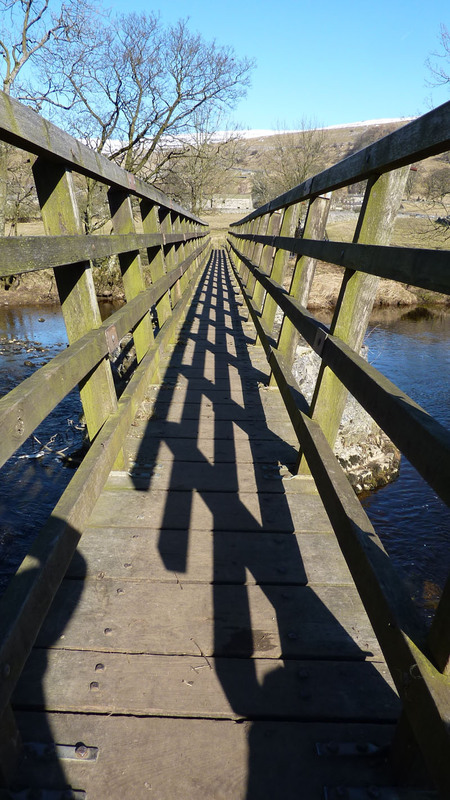 Thus refreshed, we set off and cross the bridge and join the Dales Way for the walk back to Starbotton. 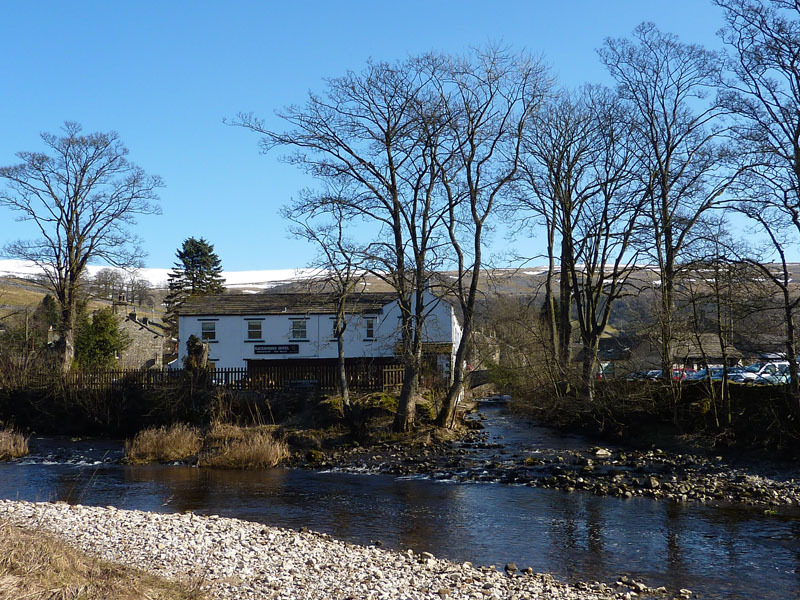 Drainage from the fells joins The Wharfe next to one of the two pubs in Kettlewell. What a day! 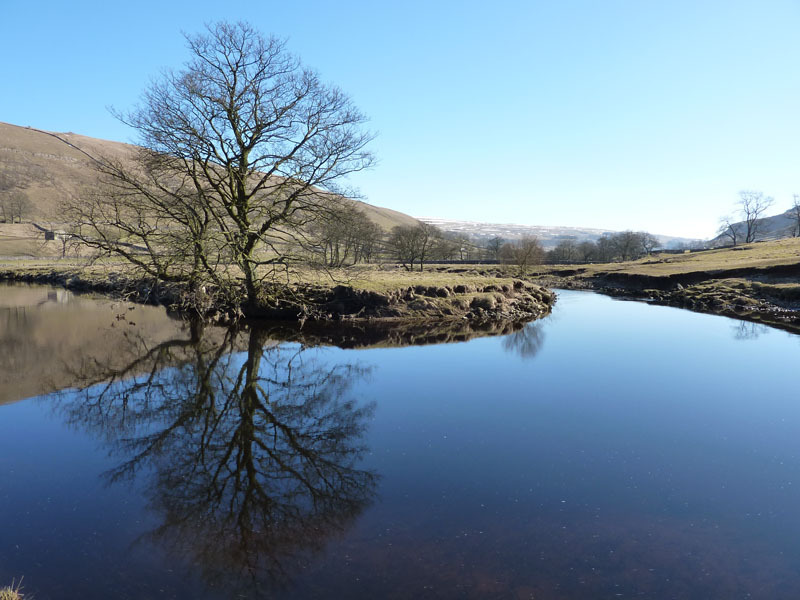 Look no clouds, no wind, see how calm the river is as it turns this corner. 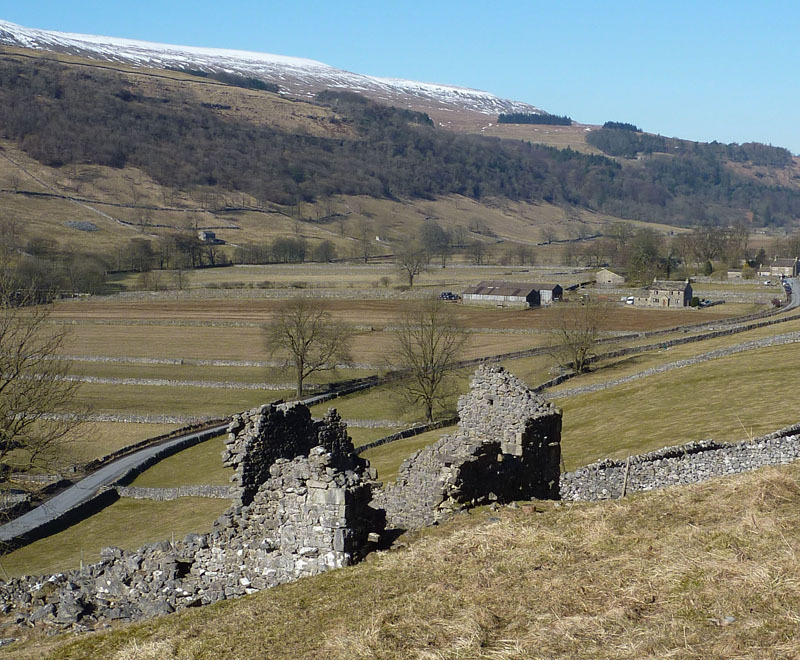 Looking back towards Kettlewell. 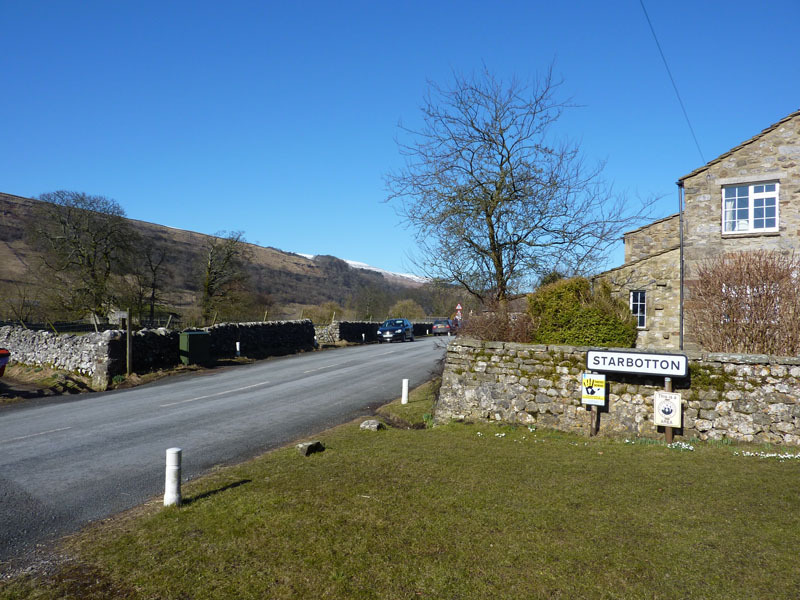 This is taken in the direction of our walk, with Starbotton just in view between the trees. 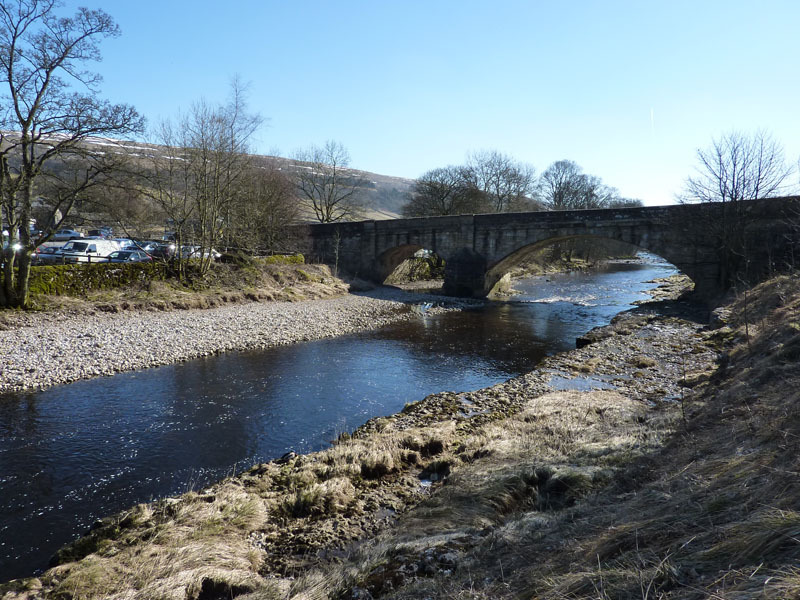 Buckden Pike is up there on the right and I've a feeling I'm due up there later in the Spring with friends from the OFC. We're back where we started and I dare say we should have done a longer walk, but it was very enjoyable and all new territory. 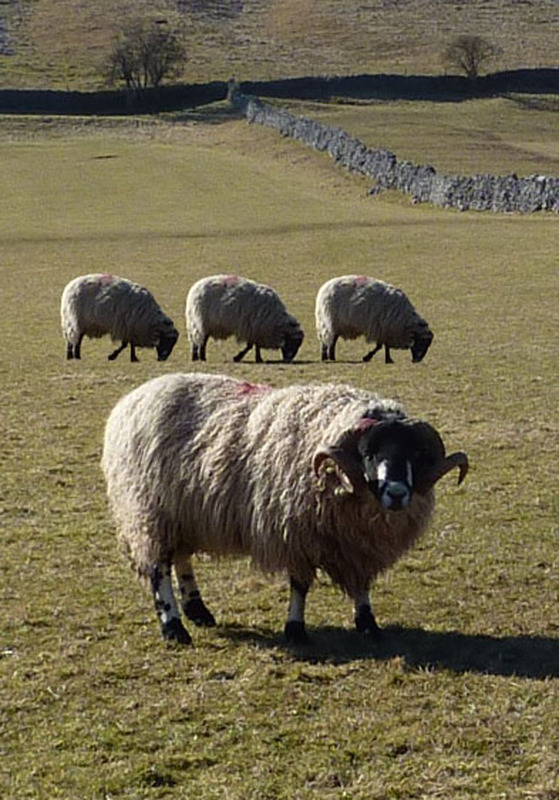 It's about 30 miles from home and we'll be back to try another walk in this area before too long. 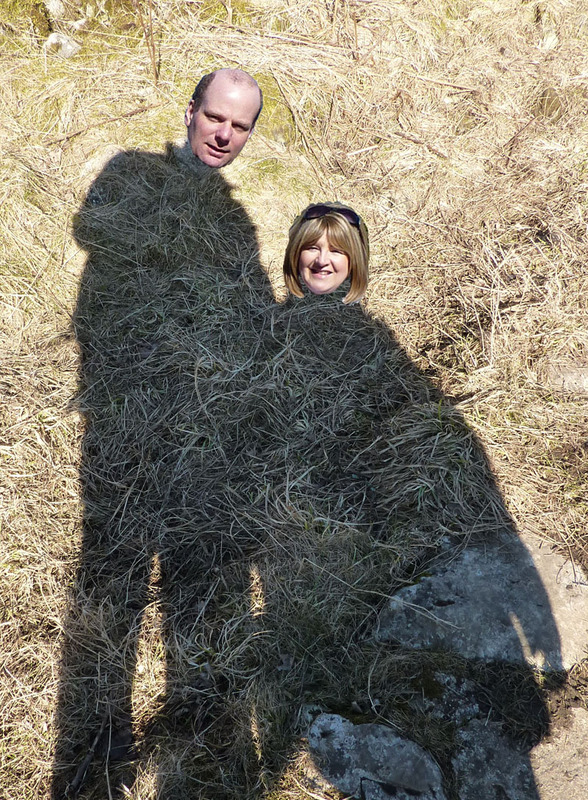 Three photos in this report have been significantly altered, can you spot which they are? Time taken: 2hrs 40mins over a distance of approx. 4 miles, including time spent in the cafe. 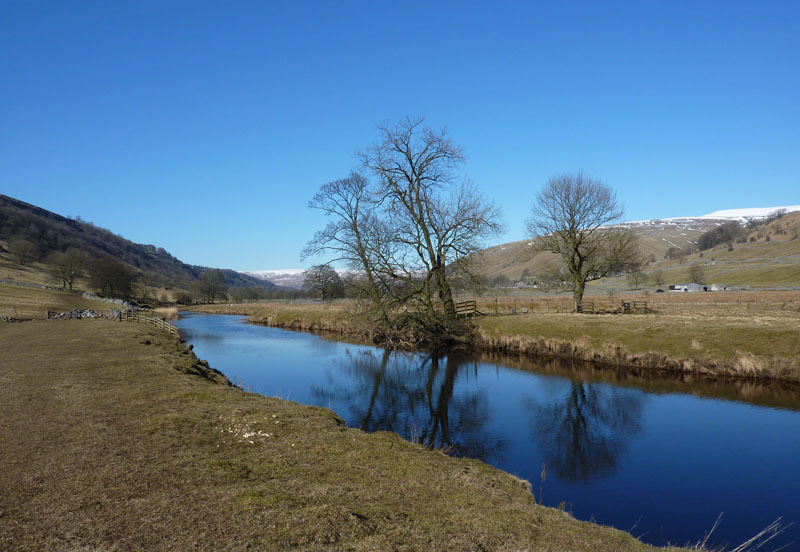 Route: Starbotton, fields walk on the east side, Kettlewell, Dales Way on the west side of the river, Starbotton. Weather and conditions: Clear Blue Sky! Greetings Count: Moderate, plenty of walkers about. 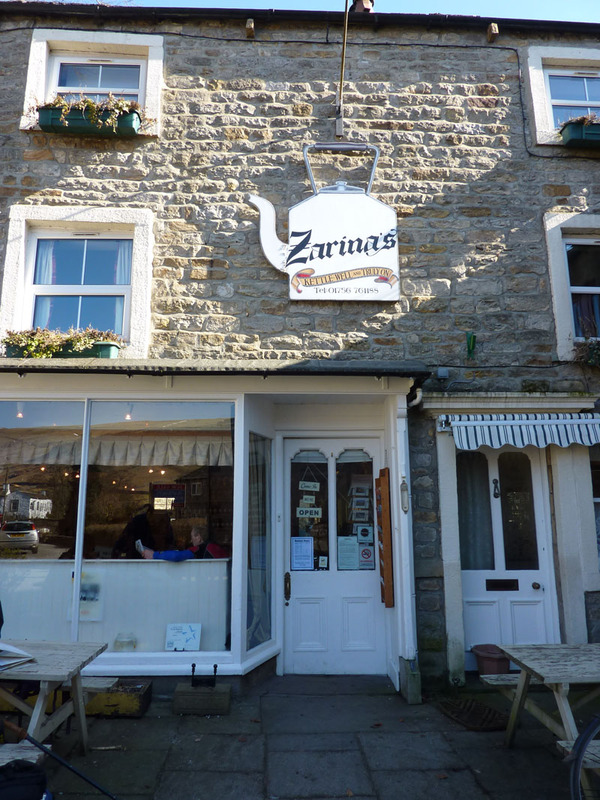 Richard's Refreshment Review: Zarinas, Great little cafe in Kettlewell, out of sight of the car park and most walkers. Serves tea with additional hot water (which is how it should be) and the menu offers plenty of choice to walkers and other types. Only one cyclist came in while we were there.